Japfest 2019 - Buy Now! We've a great event lined up for you and we'll be updating this page with updates in the build up to the event so stay tuned! Japfest Silverstone is undoubtedly one of the biggest gatherings of the Japanese car scene in the UK with some of the UK’s and Europe’s best Japanese club cars gathering at Silverstone Circuit. Expect to see a variety of different clubs on show, including various model-specific clubs, regional and national branches, owners clubs, online clubs and lots more! Hardrace was founded in 1998 and specialises in designing, manufacturing and marketing reinforced chassis parts for race and road cars. KSport UK is the world’s largest KSport brake distributor and has been working hand in hand with the factory since the release of the very first prototypes. No other distributor has more experience of the KSport big brake kit range. Coilovers from BC Racing are the pinnacle of adjustable performance for your ride. They’re designed to compete at the very highest levels and take the punishment of circuit and fast road abuse in their stride. Looking for an improved look with the benefit of saving weight? BC Forged Wheels can offer this with their wide range of both Monoblock and Modular designs. The Monoblock wheels are machined from the highest quality aluminium, 6061-T6 Aluminium to be exact; this creates a wheel that is not only strong but stiff and lightweight. Have you ever dreamed of your car appearing on the cover of your favourite magazine? Fast Car magazine has always been proud to support Europe’s biggest Japanese car show, so when the organisers asked us to put on a 15 car strong display to be a focal part of the event, we were only too pleased to round up some stunning metal. ValetPro sponsor Show and Show Shine 2017! The warm weather means a few things here at ValetPRO. It means BBQs after work, getting inadvertently sunburnt all too often and the sight of pale legs poking out of the bottom of shorts in the warehouse. But it also means it’s car show and race car season – a real staple of summer time for all of the ValetPRO team. Japan’s most iconic rally hero - the results! You voted in your 100s and our Evo Vs Impreza poll has shown the Subaru Impreza as Japan’s most iconic rally hero. It has been over a decade since the Mitsubishi Evo and Subaru Impreza went head-to-head on the World Rally stage, but the two of them have been in battle once again! Nissan GT-R Anniversary paddock in partnership with Litchfield! In 2007 Nissan unveiled its new flagship performance car, the GT-R, to the world. 10 years on and the GT-R is most likely nearing the end of its production cycle. Photography-UK will once again be trading at Japfest Silverstone! They will be offering arrival photographs for show-goers to purchase on the day. With professional photographers situated both on the bridge and tunnel entrance, they’re sure to grab a snap of you and your car as you make you way into the show! This year at Japfest Silverstone make sure to head over to the 2017 Retro Japanese display! 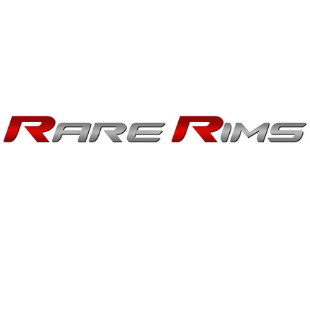 Japfest Silverstone is delighted to announce Rota Wheels UK as the official wheel sponsors! 2017 marks the 25th anniversary of the Honda Type R and at this year’s Japfest Silverstone Torque GT, the leading Japanese car import specialist in the UK, will be bringing a very special display showcasing the evolution of the Type R from its origins through to the latest models. You won’t find a rivalry quite as bitter as the Evo vs Impreza debate. And it certainly won’t be solved any time soon! So for this year’s Japfest we’ve decided to embrace the battle and pit these two iconic rivals into battle on our specially designed handling course. Are you Team Evo or Team Impreza? Japfest is delighted to welcome the world’s leading designer and manufacturer of fluid transfer systems, Goodridge as the official brake line partner of the Fast Car Entertainment series of events! The awesome Drift Kings competition is back for 2017 proudly sponsored by Milltek! Win a Honda S2000 GT! That’s right, last year one lucky winner drove away in a Ford Focus ST, this year we’re giving you the chance to drive away in one of the best sports cars ever made! The Show & Shine kindly sponsored in 2017 by Valet Pro, brings together the best examples of the UK Japanese scene. Over the past months, you have been sending our team photos of your cars via the Japfest website and we have narrowed down the entries and shortlisted the top 20 cars. If you’re not part of a club and have a Japanese car, you can still be part of the show! If you would like to join our Individual Display simply purchase an Individual Display ticket which allows you to display your car in our dedicated Non-Club Paddock Area. Our 2017 track sessions have been kindly sponsored by Davanti Tyres. We have packed the track timetable full of public and club track sessions for visitors to take part in throughout the day. After a record-breaking year in 2016 with more club car displays than ever before, expect to see another jam-packed display at the 2017 Japfest! Do you need a part for your Japanese car? Chances are you will find it within the Japfest Retail Village! Why not make a weekend out of Japfest and camp over? We’re offering the chance to camp at the event. Forget the early morning journey, and wake up on site feeling refreshed and ready for an epic day at the show! Camping is available to book in advance as part of our weekend ticket or you can buy these on the gate. The biggest Japanese car show in Europe drew record crowds at its new Silverstone home, with almost 20,000 visitors, an increase of 20 per cent over the previous record achieved in 2015.